The SA Government says vaccinations for up to 90,000 children aged five and under will help reduce the impact of the upcoming flu seasons. In the 2017 season, 122 children in that age bracket contracted the disease. “Influenza is one of the most common causes of hospitalisation for children,” Health Minister Stephen Wade said. “And children are one of the key transmission factors in terms of influenza conditions. The 2017 flu season was one of the worst on record, with 27,463 confirmed cases, an increase from 7851 in 2016. The government scheme will cost $600,000, and take several weeks to obtain the vaccines and begin the rollout. The official flu season is expected to begin in just over a week. Health Minister Stephen Wade says he is waiting for advice from chief medical officer Paddy Phillips about the availability of vaccines. 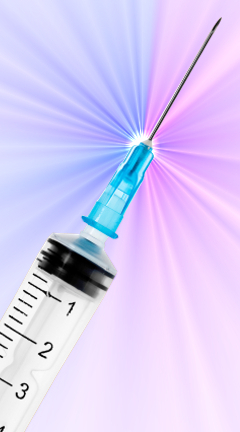 The recently-elected government blamed the previous government for failing to order the vaccine. Peter Malinauskas - the Health Minister in the former Government - said he had been advised while still in office late last year that flu vaccine supplies would not be a problem.